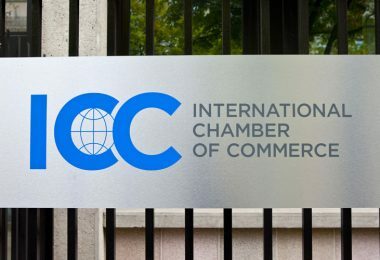 Four sizeable international consortia are targeting trade finance. Ledger Insights touched base with them to explore the differences between each and to find out more about the potential for mergers and interoperability. UPDATE: As of October 2nd, three banks from Batavia have joined we.trade. Twelve banks that are part of the R3 consortium are working on a project to digitize Letters of Credit. 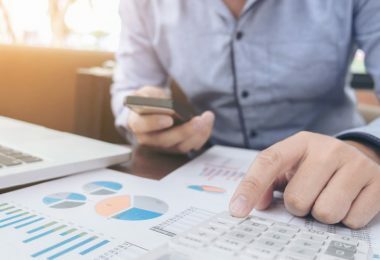 Historically Letters of Credit, while used by companies of all sizes, are more widely used by larger companies because they’re somewhat cumbersome to deal with. It’s conceivable by making them quicker and easier, the penetration amongst companies of all sizes could increase. Today 40% of trade finance uses Letter of Credit, but the market share is declining. The consortium unveiled a proof of concept in August last year using R3’s Corda technology. To move things along a bit quicker, HSBC took the shared code and developed it further working with Hong Kong technology company CryptoBLK. That enabled them to run the recent pilot with Cargill and ING which demonstrated that you could cut the time for paperwork from 5 – 10 days to just one day. The next stage of adding new features to Voltron will be developed jointly with the rest of the banks. 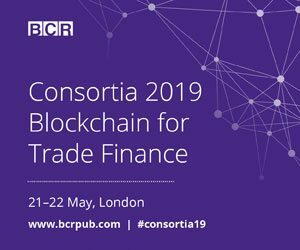 Joshua Kroeker who heads up Blockchain and DLT for trade finance at HSBC believes you need to have a central organization and this is the biggest task to reach production. He said, “you need to make sure it’s a neutral party, and we’ll need that in Voltron”. HSBC is also a shareholder in we.trade, which incorporated as a joint venture. For now, R3 acts as the glue for Voltron. The banks involved are Bangkok Bank, BBVA, BNP Paribas, HSBC, ING, Intesa, Natwest, Mizuho, Scotiabank, SEB, CTBC, and U.S. Bancorp. we.trade is explored in depth in a separate article. The platform targets SMEs in Europe and the offering is open account trade finance like factoring, as opposed to letter of credit. Trade financing is targeted at exporters, while importers can purchase guarantees that they’ll pay the seller. The platform offers a common web interface that client companies can log into. we.trade uses Hyperledger Fabric for its blockchain and IBM is the technology partner. Nine banks are founding shareholders including Rabobank, Deutsche Bank, HSBC, KBC, Natixis, Societé Generale, UniCredit, Nordea, and Santander. The model is a SaaS license, and they actively want other banks to join. Marco Polo provides both payment commitment solutions like guarantees as well as open account trade finance solutions such as receivable discounting and factoring. With receivables discounting the supplier sells the invoices at a discount, and there’s no comeback. This contrasts with factoring where the supplier gets paid part of the invoice early through financing but still bears the risk of non-payment. Compared to we.trade, Marco Polo is not a destination application. For financing to work for a particular transaction, it doesn’t require both the buyer and seller to participate. Rather than SMEs, the focus is on a broader range of clients. Though the availability of ERP integration for customers implies larger clients. The technology partners are R3 and TradeIX. TradeIX is a technology company that created a trade finance platform with applications. TradeIX licenses their platform to banks who run it as their trade finance transactional solution. Banks work with TradeIX either by joining Marco Polo or working with TradeIX directly or in combination. The company announced a $16m Series A funding round led by ING. So Marco Polo is a collaboration rather than a legal entity. Instead, banks enter into agreements with R3 and TradeIX. However, banks don’t have to use TradeIX to join Marco Polo. Instead they can use their own platforms. The different platforms and data are connected and shared through open Application Programming Interfaces (APIs) and the digital ledger uses R3’s Corda technology. Most enterprise clients have several banking relationships. 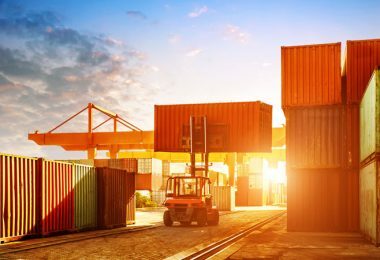 The trade finance debts owed to banks are sometimes moved from one bank to another. Marco Polo enables this to happen electronically. Plus a distributed ledger provides greater transparency for risk-weighted asset measurements that the banks need to do for compliance. The Marco Polo group is not limited to R3 shareholders. 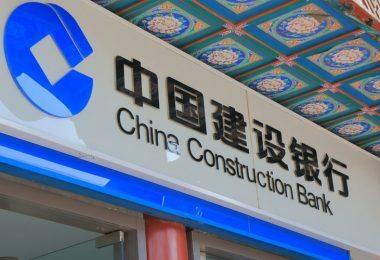 The banks currently participating are Natwest, BNP Paribas, Commerzbank, ING, DNB, OP Financial, Bangkok Bank, SMBC, Standard Chartered Bank, and Natixis. Batavia was a smaller consortium compared to the others with just five banks. The consortium consolidated with we.trade. The scope seemed far broader in terms of applications. 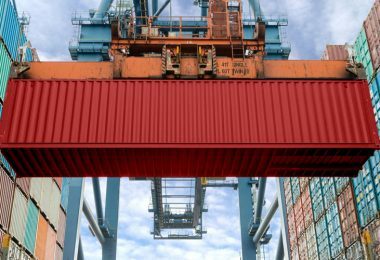 It spanned both open account trade finance and Letters of Credit, and it targets companies both big and small. IBM is the technology partner, and the blockchain is based on Hyperledger Fabric. The group ran its first live pilot in April. The banks are UBS, Bank of Montreal, CaixaBank, Commerzbank and Erste Group. 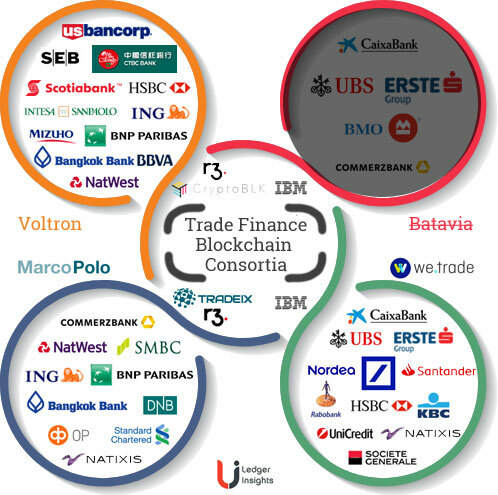 UBS, CaixaBank, and Erste Group joined we.trade. Each consortium is a bit different in their product and customer targeting as well as architecture, though Batavia overlaps with the others. As a result, Batavia is the one that’s subject to merger rumors.